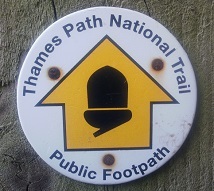 The Thames Path National Trail is a 184 Mile (296km) walk following the River Thames between the Source of the Thames near Kemble in the Cotswold Hills in Gloucestershire to the flood barriers near Charlton in South East London. 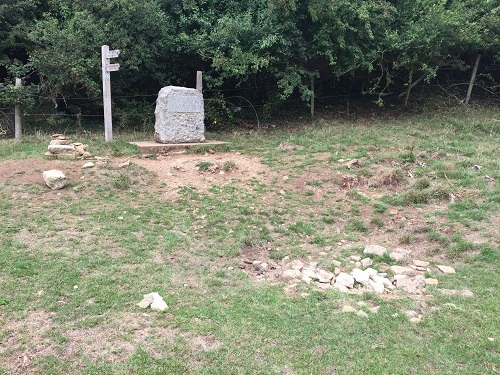 It was made a National Trail in 1996 and is almost entirely flat making it a good easy trail for walkers and cyclists. 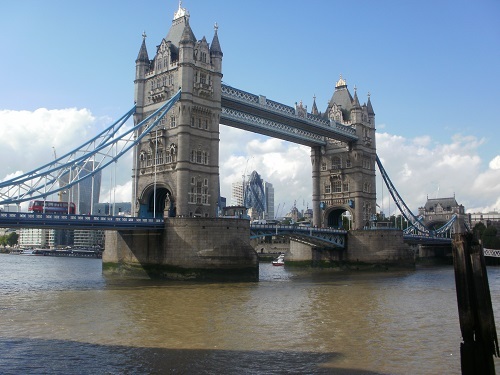 I walked the Thames Path in August 2018 in nine days, many of them long but this wasn't a great problem as the trail was easy walking and flat so the miles passed quickly. 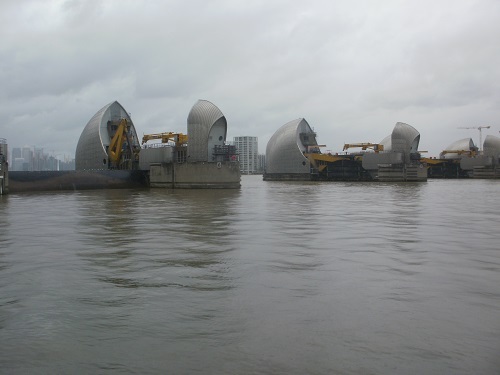 I chose to start at the flood barrier and end at the Source as it seemed better to finish there at the start of the Thames than at the flood barrier as this is not the end of the Thames, it goes on for many more miles. I was lucky with the weather, I had one wet morning out of the nice walking days and a couple of heavy showers on the first day but apart from that it was a dry and not too hot, making for pleasant walking in tshirts and shorts. 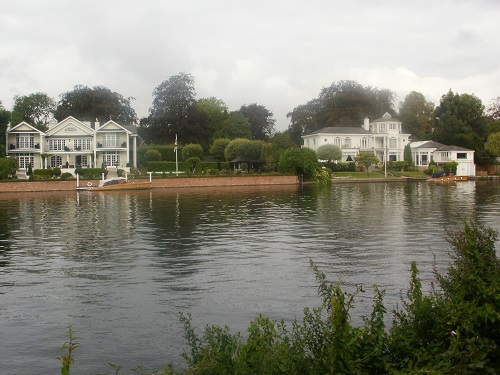 There are plenty of towns and villages along the Thames Path so food, drink, accommodation and public transport are not a problem if you want to do the whole walk or just some of it. There is plenty to look at along the Thames Path, whether it be the birds and wildlife that you'll see every day or maybe just look at the very large and expensive houses by the river and expensive houseboats, barges and large craft that will just leave you thinking "If only" like I did. Admire also some of the pretty little towns and villages that you pass through each day on the Path. One of the good things about the Thames Path is that most of it can be done by anyone even if you just walk a few miles every day as public transport is never far away, especially at the London end of the Path. 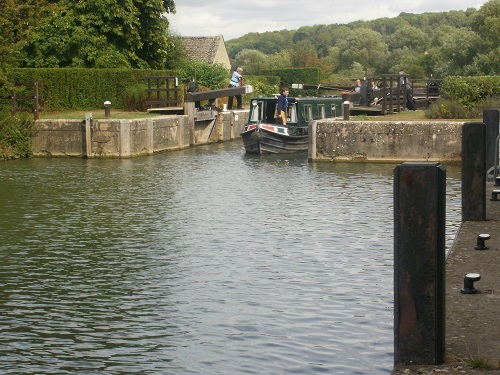 It's also a trail that can be cycled for a great part of it or hire a boat for a relaxing holiday on the Thames itself. 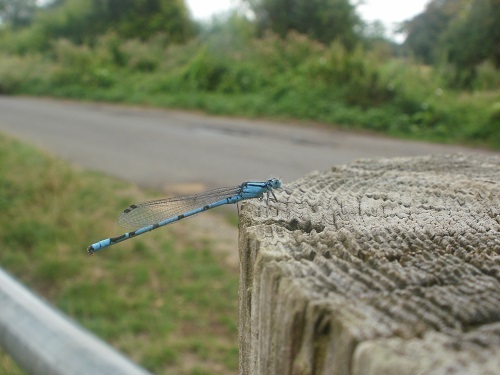 I hope that you enjoy my diary of my walk on the Thames Path and if you choose at some point to do the walk, you enjoy it as much as I did. Even though you are mainly following the Thames, you really need to have a map and/or guide book with you, not only to help you plan the walk but also because there are times when you cross bridges to walk on the other side of the river or at times especially nearer the source when navigation is a bit more complicated. You can buy the latest book or map by clicking the link on the left of this page. When I walked the Thames Path I took many photos and also made a video, please click on the link to watch it.